I’m so excited to be able to go camping this weekend for the holiday. The weather is supposed to be nice here so it should be lots of fun. 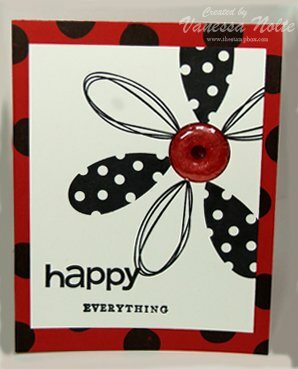 Here is one more blog candy…. at this site. 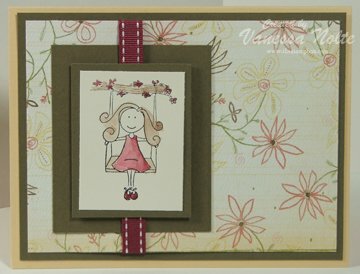 This is another card I created for my monthly card swap. It seems this is all I’ve been working on lately. That is the truth! I’ve been so busy getting things done around the house and out in the yard that I’ve not had a lot of time for my crafting. 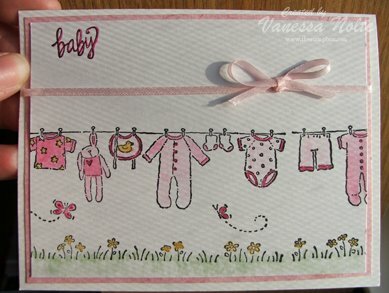 Anyways, I really enjoy using Bella stamps. I love them. I love using watercolor paints! 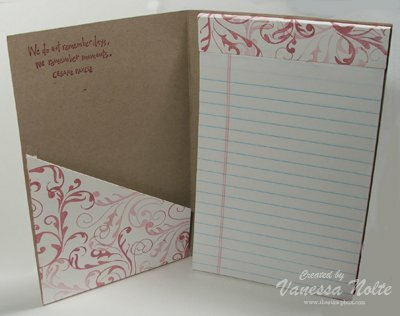 The “A gift for you” is a part of the Butterfly kisses set from Papertrey. I’m so looking forward to summer!Â It is my favorite season.Â We are getting warmer here in Michigan, but not there yet.Â I’m going to be able to do some camping over Memorial day weekend, so I’m praying for great weather! 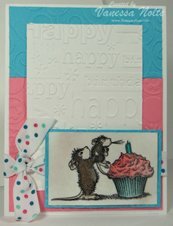 This card I did for a monthly swap that I’m involved in at Splitcoast Stampers.Â I stamped the dog image and found the beautiful designer paper which I thought was perfect for the image. 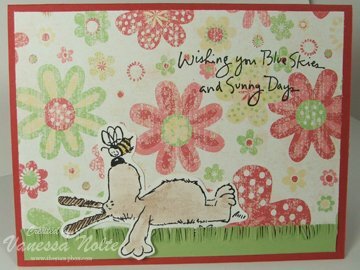 :-)Â I watercolored the image and stamped the sentiment on the designer paper.Â Then i just added a little homeade grass and called it good. 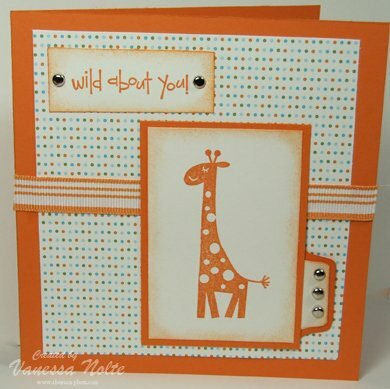 This was my project for my stamping weekend… I had all the supplies ready for everyone to stamp and create. I like making things that are different than cards sometimes. The Flourishes are from Autumn Leaves. 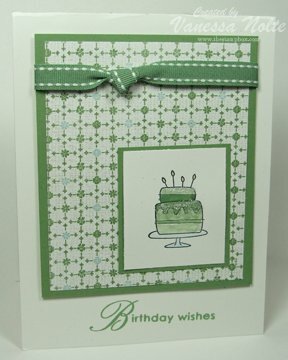 I love using the flourishes stamps! So, a whole week has gone by… my goal was to post a new card on here like every other day since I have so many to post, but I just ran out of time to do that this week. So, I will post a few cards today. 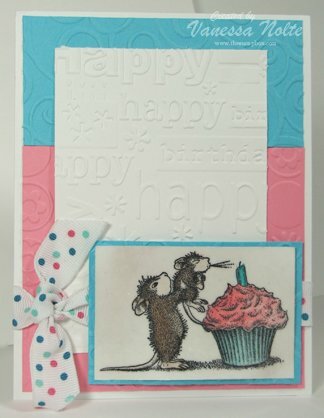 The first card was a card that I made last weekend for a challenge at my stamping event. I got a package of papers, ribbon, and image. I had to use a little bit of everything in the package for the challenge… this is what I came up with. 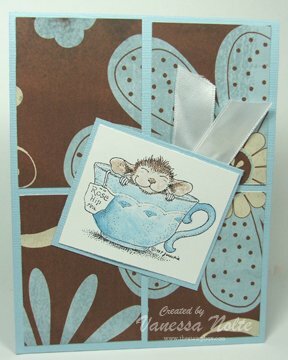 This next card is a card that I made during my free stamping time… I love house mouse stamps. You know…. 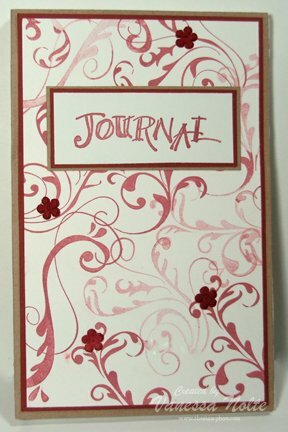 I came away with all these beautiful cards from this stamping event… now I just have to send them all. I’ve been so bad lately about not sending them out. That is something that I will be working on in the next few weeks. 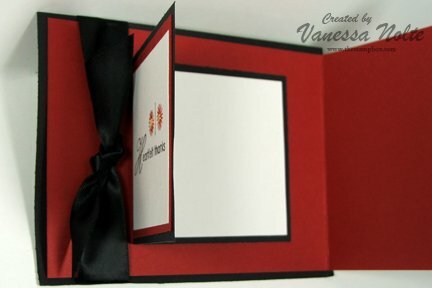 My goal it to send at least one card out each week…. hopefully more than that! Well, I think I will leave it there…. I have plenty more cards to post this week. Have a great day!